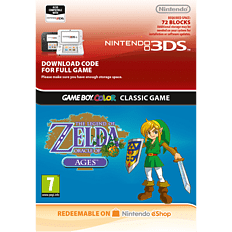 The Legend of Zelda: Oracle of Ages gives gamers classic Zelda action, with a heaped helping of original concepts and puzzles. 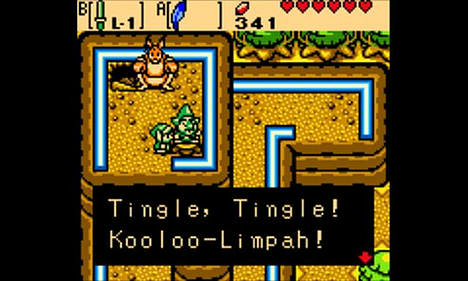 Link must travel around a vast overworld collecting clues and items, and explore challenging dungeons filled with fierce monsters and maddening puzzles. When Link's adventure begins, he uses the power of the Triforce to travel to a new land known as Labrynna. Veran, the Sorceress of Shadows, is planning to alter Labrynna's past so that she may rule over the present. Through trickery and deceit, Veran harnesses the power of Nayru, the Oracle of Ages, and travels 400 years into the past. Immediately, Labrynna's present changes dramatically, reflecting Veran's evil actions. Before the Sorceress of Shadows can complete her dark mission, Link must use the Harp of Ages to travel through time and recover the eight Essences of Time. Time travel presents Link with some unique problems and puzzles. Many of the game's challenges require Link to travel from one time period to another in order to reach his goal. If a river is blocking your path in the present, for example, you can travel to the past and move a stone to redirect the flow of the water. If you plant seeds in the past, you'll find full-grown trees and vines when you return to the present. Link also meets some powerful friends in Labrynna who can help him in a variety of ways. A winged polar bear named Moosh can help Link attack enemies with a powerful ground-pounding blow, or Link can ride a friendly Dodongo named Dimitri across deep bodies of water. When Link rides in the pouch of a boxing kangaroo named Ricky, he can K.O. his enemies with a few quick jabs. Link's adventure offers great gameplay, an engrossing storyline and beautifully detailed graphics. Ever since The Legend of Zelda was released for the original NES in 1986, the Zelda series has earned a reputation for delivering innovative action-packed gameplay mixed with engrossing storylines and unforgettable characters. 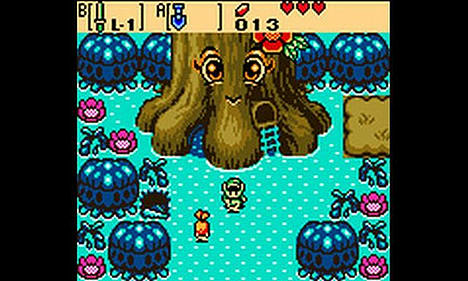 The Legend of Zelda: Oracle of Ages and The Legend of Zelda: Oracle of Seasons, originally released for Game Boy Color in 2001, built on this excellent reputation and added even more mind-bending gameplay elements to the mix. 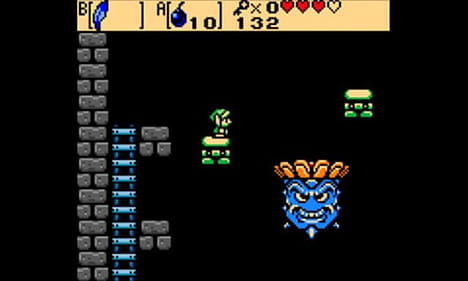 Each game presents a unique adventure for Link to conquer, but by tackling both, players can get even more out of the experience. By completing one of the games, players earn a password that they can enter into the second game. Entering the password means the main character will carry over the same name given to him in the first game, and will also begin the game with more items than in the first quest. On top of that, characters encountered in the first adventure will return to make cool cameos. At the end of the second adventure, prepare to face an additional boss battle, which would not occur without completion of the first game. Whether you're a long-time fan of The Legend of Zelda or a newcomer to the series, you're sure to spend many hugely rewarding hours helping Link restore order to Labrynna.